Camping is one of the most enjoyable activities which you can do with your family. Going for a camping trip is something that you will thoroughly enjoy along with your family, and the memories which you will create will last you for a lifetime. However, when you plan for a camping trip, you are planning to live in the open. When you do so, especially when you are with your family, you need to make sure that you have kept everything ready and have not forgotten anything. Planning a camping trip is hard work. You need to organize the required gear; you need to get a reservation, you need to prepare food well in advance and store it, you have to pack up the luggage in your car and finally, you need to make sure there are enough entertaining activities to keep your whole family engaged. If you plan right, camping can be an excellent experience and a great bonding experience with your family. 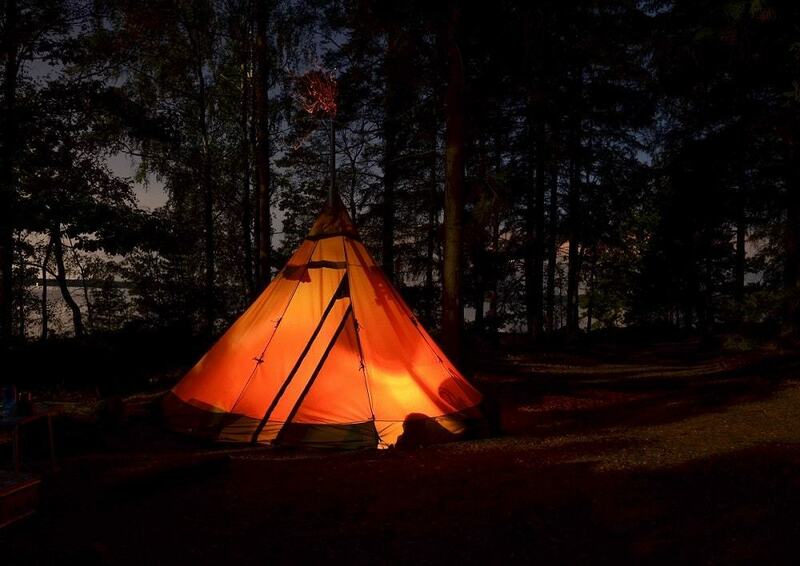 To make sure that your camping experience is smooth and you take care of everything required, we have compiled the ultimate list of things that you will need on a camping trip. Let’s get started on our ultimate checklist for camping. Many of the items in the list you may not need, however, it is best to keep them in mind. You may find a few things that you had not thought about earlier too. Tent: You will need a tent to camp outdoors. There are many excellent tents online which you can avail from. Along with a tent, you will also need stakes to hold the tent in the ground and guylines to connect the tent and the stakes. Tent footprint: Having a tent footprint is significant. Tent footprints are ground cloths which you can put under your camping tent so that there is no wear and tear to your tent when it is on the ground. Tent-pole repair sleeve: A tent pole repair sleeve is essential in case your tent pole breaks. It is a quick fix and is very easy to use. With time tent-poles tend to snap, if you have a tent-pole repair sleeve, it will save you the hassle of dealing with a broken pole. Sunshade or screen house: Most of the time, you will go camping in summer. It is necessary to have a sunshade or a screen hose when you go camping so that you will be sheltered from the sun, especially during the afternoon. Mallet or hammer: You will need a mallet or a hammer to fix the tent stakes into the ground. Its always good to have a hammer as you might need it for other things too around the camp. Sleeping bags: Since you will be sleeping on the ground in your tent when you go camping, the best thing to do is to buy a sleeping bag. You can use a single or a double sleeping bag. Make sure that you have sleeping bags for all the members of your family. Sleeping pads: When you go camping, a sleeping pad can be used along with your sleeping bag. The sleeping pad will give your sleeping bag padding and also thermal insulation. Air mattresses: If you feel that you won’t be comfortable with a sleeping bag, you can also opt for an air mattress. An air mattress helps as it is firmer and it is collapsible and easy to carry. Pad/mattress repair kit: When you are camping, there are a lot of issues that can come up. One of the most common is that the sleeping pad or the air mattress may not work or may have a leak in it. For that, it is necessary that you have a mattress repair kit. Considering that if you are a family of four, you will need four mattresses or pads, so it is best to have a repair kit in case any mattress or sleeping pad has an issue. Pump for air mattresses: if you are planning on taking an air mattress, you will need to take a pump for the air mattress. Make sure that you inflate the air mattress once before you leave for your camping trip to test that it is working properly and that the air pump does not have any leaks. Pillows: If you are used to sleeping on pillows at home, it is best that you carry along your pillows. You do get inflatable pillows, but having your own, familiar pillow when you go to sleep will help you to get better sleep. Multi-tool or knife: It is advisable to have a multi-tool or a Swiss knife handy. Many things may come up during the camping trip like opening bottles, cutting rope, etc. It is best to have a multi-purpose knife which will come in handy. Trekking poles: Though a trekking pole is a common accessory when you go trekking, it also helps when you go camping. You can use it when you go for a walk or when you are walking towards the camping site. Child carrier: If you have small children who can’t walk or will get tired after a long walk, it makes sense to have a child carrier. A child carrier helps you to carry your child easily while you are walking. Folding chairs: When you are having dinner or even if you want to sit and relax, having a chair is very useful. A folding chair is a great accessory for camping. You can use it to relax. Depending on the number of people in the house who plan to go camping, you can carry that number of folding chairs. Folding table: A folding table helps a lot especially if you are eating together or would like to play any board or card games. Moisture-wicking clothes: When you are camping, you are exposed to the elements. That’s why it makes sense to carry moisture-wicking clothes. When you wear moisture-wicking clothes, you don’t have to worry about rain, dampness or fog. Quick-drying clothes: Similarly, take clothes which dry fast. You can choose clothes made of a material that dries fast so that even if you get wet, you can put the clothes out for frying and can re-use them. Make sure you also take along a drying line if you plan on drying clothes. Long-sleeve shirts: Since you may get sunburnt in the afternoon and to avoid bugs and other insects, its best to use a long-sleeved shirt. Sun-shielding hats: Getting hats which will keep away the sun’s heat, especially in the afternoon is a good idea. It will help you to conserve your energy and not get tired easily. Stove: Cooking food on a stove is one of the most common methods of cooking when you are out camping. A stove is easy to carry and can cook food fast. Since we are used to cooking in a microwave, it will be a bit difficult to use a stove, however, once you get the hang of it, you will enjoy it. Fuel, fuel bottle and a funnel: If you are planning to use a stove, you will need the fuel for the stove, bottles to carry the fuel and a funnel to transfer the fuel from the bottles to the stove. Matches/lighter: One of the most common thing that is forgotten when you go camping is a lighter or matches. If you don’t remember your training in the scouts to get a fire started, you will be pretty handicapped and will have to eat a cold meal if you forget to take your matches along on the camping trip. Charcoal: You may plan to use charcoal to make a fire and cook instead of a stove. You could also use firewood if you are allowed to cut wood in the forest that you will be camping. If you plan on cutting firewood, make sure that you get a good axe. Marshmallow roasting sticks: One of the most fun things about a camp is to sit around a campfire and roast marshmallow and hear stories. If it’s possible, make sure that you take marshmallows and marshmallow sticks and make the camping trip memorable. Even though you cook at home every day, when you go on a camping trip, your family will tend to eat more so make sure that you carry extra quantities of everything. There also is a possibility of food spilling when you are traveling so make sure that you pack food properly. Most of the items below are common items that you eat every day. You can add and remove items as per your food preference. Toilet paper: Since there won’t be toilets when you are going camping, make sure that you carry enough toilet paper to use when you go into the bushes. Sunscreen: Most of the time when you go camping, it will be summer. So make sure that you carry your sunscreen with you when you are out mainly in the afternoon. Lip balm: If it is cold at night then you will need lip balm so that your lips don’t crack. Also, when you use lip balm, it is easy to forget the smells that may be around which helps especially when you want to go off to sleep. Insect repellent: On a campsite, having an insect repellent is a must. There will be many insects which can make your camping trip a nightmare. In addition to that, many insect bites also cause allergies. So to make sure that you avoid insects, you should always use an insect repellent. Hand sanitizer: If you have a hand sanitizer, then it will help a lot. When you are traveling to the camp, and in the camp you should carry a hand sanitizer. There may be a lot of germs around, and you are not sure of the quality of the water around, so it is best that you carry a hand sanitizer along. Alcohol or antiseptic wipes: When you are camping, you or your children are bound to get a few scrapes or bruises. That is a part of being in nature. To ensure that the bruises and scrapes don’t get infected, it is best to use alcohol or an antiseptic wipe. Also, make sure that you carry band-aids with you. Spare eyeglasses: If you use glasses or contact lenses, make sure that you carry a spare one with you. When you are camping, there is a chance that your glasses may break or get misplaced. First-aid kit: This is one of the most important things that you should take when you are camping, especially if you have children. When you are camping, many things could go wrong and the nearest doctor or health clinic may be miles away. Make sure that all the medical items in your first-aid kit are within the expiry date. You can also keep the below personal items in mind that you should take along. Camera: When it comes to capturing memories, nothing beats a camera. You may have a great camera on your smartphone but if you have a camera too, make sure that you bring it along. Camcorder: If you have a camcorder, you can use it to record videos and capture memories. Memory cards/film: When you carry your camera and your camcorder, make sure that you have enough memory storage in your memory card to store the data. If you are using a Polaroid camera, make sure that you have enough film. A kids Polaroid camera is great to give to your kid especially during a camping trip. Binoculars: During the camping trip, you can explore nature along with flora and fauna. The best way to do it is with a binocular. Make sure that you take a binocular which has a night vision so that you can enjoy the various birds and animals which come out at night. Campsite reservation confirmation: You need to make sure that the reservation of your campsite is confirmed when you make the trip or else you will travel to the camping place and will have to return disappointed. Maps: Having a map of the area where you are going camping is very important. Though in this age, we have GPP guides to show us where we are, sometimes the network on your smartphone may not be there due to which you may get stuck. The best thing to do is go to Google Maps on your PC or Mac and take a print of the map of the place you will be camping. You can also make prints of the roads to the camping place. Interpretive field guides: Many camping sites have interpretive field guides which give you more information about the plants, insects and the animals at that specific camping site. Having such a guide along is helpful. If you have pets, then you need to make sure that you carry a few items that will be necessary for them on the camping trip. 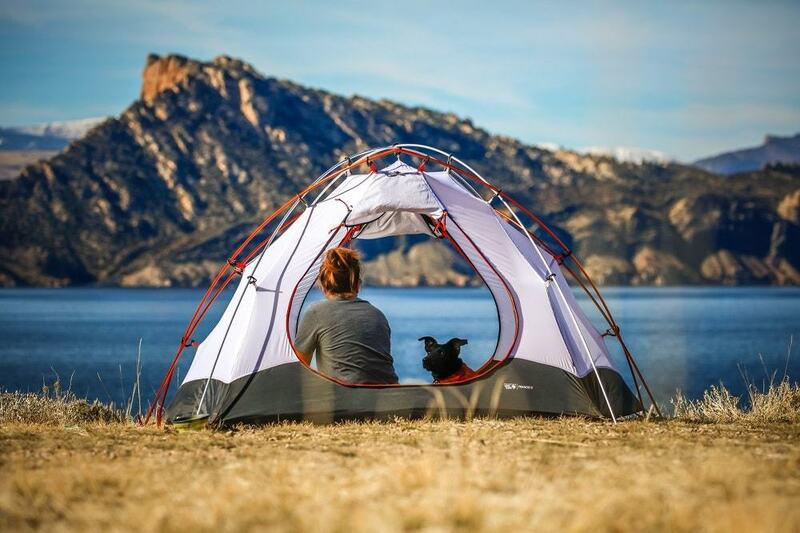 Pet tent: Having a tent for your pet is very important as the weather may get rough, and you will have to accommodate your pet in your tent, and your sleep may get affected. There are a lot of pet tents on the market depending on the size, breed, and species of your pet. Pet bed: If you have a cat or a dog, you can buy a comfortable pet bed so that your pet can sleep well. If your pet already has a bed, you can roll it up and take it along. Pet food: Pets, like humans get very hungry on a camping trip as the exertion is more. Make sure that you carry enough pet food when you go on your camping trip. Pet toys: You can also get your pet’s favorite toy along when you go on the camping trip. This helps because your pet will get distracted with it on the journey to the camp and will not make a disturbance. At the camp, since the place will be unfamiliar, your pet’s favorite toy will help it to relax and calm it down. When you are on a camping trip, you need to make sure that everyone is entertained. To do so it is best if you have games and other entertainment items with you. You can check the list below for a few ideas. We suggest that you keep a mix of games that your family is familiar with so that they enjoy well and a few fun activities that are new so that they learn new things and make new memories. I hope you found the above list useful. 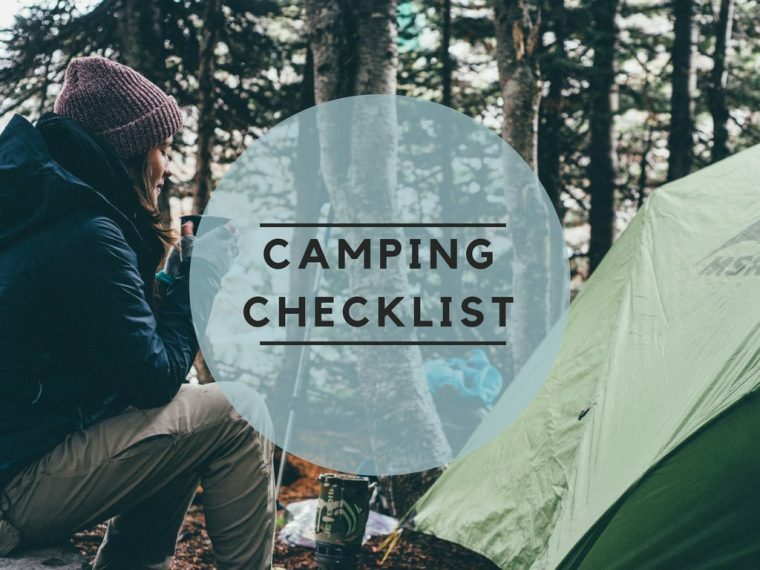 We have tried to make the ultimate checklist for when you go on a camping trip. This list will help you to plan your camping trip and help you to enjoy your camping adventure without having to worry that you have forgotten something.